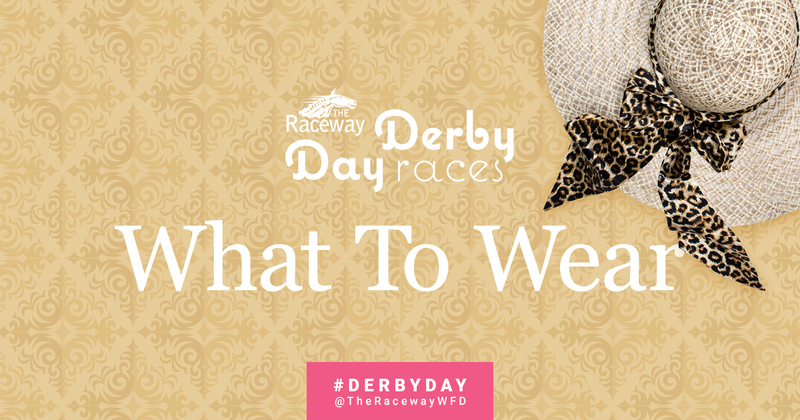 Before you race off to Derby Day at the Raceway, check out these winning tips on what to wear! Ladies, it’s time to gussy up. The Derby is all about getting decked out, so start with a party dress in a spring solid or feminine pattern. And a light wool scarf for a sophisticated cover-up, a retro race day hat or fantastically colourful purse to complete the look. Big hats are a huge part of Derby style. Keep the sun out of your eyes on a bright spring day in a hat like the bow race day hat below. Feeling crafty? Decorate a hat with craft supplies or greenery from your own backyard. The races are a daytime celebration, so keep makeup simple and fresh: Sport a bold pink lipstick, but skip the dramatic eye liner and shadow. For your ‘do, balance a big hat with even bigger loose curls, a chic low bun or sleekly straightened hair. Gentlemen, don’t let the ladies have all the fun — get dapper for Derby Day at the Raceway! Sport coat? Check. Pocket square? Check. Bow tie? Check! Catch everyone’s eye in these Derby-themed ensembles. Bold colours and pattern play are a sure bet at the Derby. Case in point: Mix and match a rose plaid sport coat (roses are the official Derby flower, after all) with a polka dot pocket square and simple pink button-front shirt. Prefer to keep it simple? Try a stripped sport coat and bold basic tee! No matter what you wear, have fun with it and your look will be a winner. Looking forward to seeing you at the Raceway on Saturday, May 7th, experience live harness racing and stick around to watch the 142nd Kentucky Derby on the 32-FOOT BIG SCREEN! !